Suburban Banshee (aka Maureen) points us to a stunning page of photos of the ghost towns of Byzantine Syria. I find these sites fascinating, and I’ve blogged about them before — here, here, and here. Adrian Murdoch has been posting short videos on each of the Roman emperors, and he’s finally come to Julian. Adrian is author of The Last Pagan, which I reviewed for Touchstone Magazine. We share a fascination for the old Apostate. 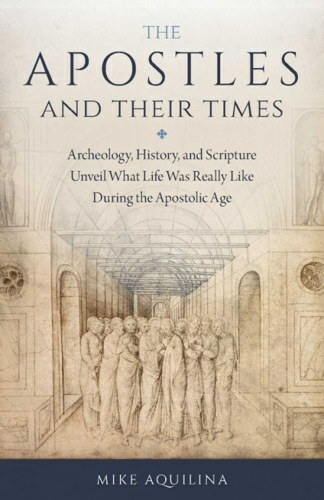 Father Michael Giesler has given me many occasions to blog on his scholarship in patristics (here and here), biblical theology — and especially his fiction. Father Michael is the author of a trilogy of page-turner novels set in the second century (with cameo appearances by Justin Martyr). Now he applies his priestly wisdom in a new book aimed at the clergy: Called by Name: Twelve Guideline Meditations for Diocesan Priests. It’s the ideal gift to give the priests you love — and you surely love many of them. So buy by the crate! 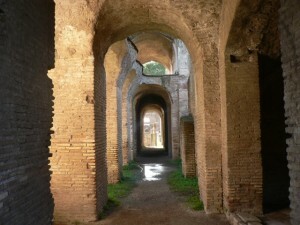 A new find in Turkey promises to be as wonderful as Ostia Antica is in Italy. Here’s a bit of the New York Times’ take. The find is Bathonea, a substantial harbor town dating from the second century B.C. Discovered in 2007 after a drought lowered the lake’s water table, it has been yielding a trove of relics from the fourth to the sixth centuries A.D., a period that parallels Istanbul’s founding and its rise as Constantinople, a seat of power for three successive empires — the Eastern Roman, Byzantine and Ottoman. Roman glass and high-end pottery dating as late as the 14th century were found throughout the site. Marble, including a gorgeous milky-blue variety, lined the walls and floors of the church and at least one of the buildings. Also discovered were hundreds of bricks stamped “Konstans,” which were produced in Constantinople beginning in the fifth century and had mostly been discovered at imperial sites like Hagia Sophia, the sixth-century architectural marvel and primary cathedral of the Byzantine Empire for almost 900 years, and nearby Rhegion, a fifth-century compound on a hill across the lake from Bathonea, overlooking the Marmara Sea. I think the Fathers would recognize America’s moral landscape for what it is. Our world is not so different from the world where they lived — the world they converted and healed. But who belongs to our world? For the last generation, Americans have tried to place certain classes of humans beyond the protection of the law, outside the definition of personhood. It began with the fetus, the preborn child. Court decisions placed arbitrary limits — at the first trimester, or second, or birth. But does anyone take these seriously? What is it about a day of development — or a week — that changes the baby so radically as to make her a different sort of being? Which is the event that confers personhood? Again, different ethicists propose different answers: self-consciousness, the ability to feel pain, sensitivity to light and sound, and so on. But these, too, fail. After all, we don’t (yet) kill older children who are blind or deaf. The most honest pro-choice thinkers put the matter baldly: what confers personhood is the will of the mother. The Church Fathers were familiar with this line of thinking. In pagan Rome, a child did not achieve personhood until recognized by the head of the family, the father. When the mother had given birth, a midwife placed the child on the floor and summoned the father. He examined the child with his criteria of selection in mind. Was the child his? 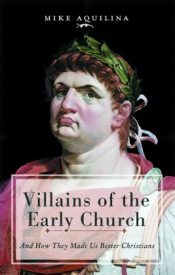 If the man suspected his wife of adultery — ancient Rome’s favorite pastime — he might reject the child without so much as a glance. If the child were an “odious daughter” (a common Roman phrase for female offspring), he would likely turn on his heel and leave the room. Life or death? It all depended upon the will of a man. Human life began when the child was accepted into society. A man did not “have a child.” He “took a child.” The father “raised up” the child by picking it up from the floor. Those non-persons who were left on the floor — while their mothers watched from a birthing chair — would be drowned immediately, or exposed to scavenging animals at the town dump. Against these customs, the Church consistently taught that life begins at conception and should continue till natural death. In such matters, Christianity contradicted pagan mores on almost every point. What were virtuous acts to the Romans and Greeks — contraception, abortion, infanticide, suicide, euthanasia — were abominations to the Christians. The papyrus trail is especially extensive for abortion, which is condemned by the Didache, the Epistle of Barnabas, and the Apocalypse of Peter; by Justin, Athenagoras, Clement of Alexandria, Tertullian, Minucius Felix, Hippolytus, Origen, and Cyprian. And that partial list takes us only to the middle of the third century. The earliest extrabiblical document, the Didache, begins with these words: “Two Ways there are, one of Life and one of Death, and there is a great difference between the Two Ways.” The Fathers converted their world from one Way to the other, and they were judged righteous. Our last generations have perverted our world from one Way to another, and we too will be judged. But we can still do something, as our earliest Christian ancestors did, and we must. As Egypt’s Christians face an uncertain future, their most ancient ancestors rise from the sand to remind them of the faith that withstood Decius and Diocletian … and remind us to pray for the Copts. Check out this recent discovery. A Supreme Council of Antiquities mission has discovered a Coptic city dating back to the fourth century. The city is located in the Ain al-Sabil area of the New Valley Governorate. In the middle of the city, a basilica church was found, surrounded by buildings that Council Secretary General Mostafa Amin said were service units for the priests. Mohsen Ali, the council’s director of Islamic and Coptic antiquities, said the mission also uncovered a house that consists of a big hall, living rooms, a main entrance, a kitchen with a built-in oven and an intact staircase, in addition to ancient bronze coins and clay jugs. Tomorrow — Monday, Jan. 16 — I’m on EWTN’s “Women of Grace” with Johnnette Benkovic, talking about “Suffering, Sorrow, and God’s Plan.” Our conversation focuses on my book Why Me? When Bad Things Happen. The show airs 11 a.m. EST and re-airs that evening at 11:30 EST. Next day (Tuesday), my songwriting partner, Dion, talks with Johnnette about “The Day the Music Died.” Hope to see you there! LiveScience reports on a curse tablet found in Antioch (Antakaya), near Turkey’s border with Syria. It calls upon Yahweh to visit his wrath upon a greengrocer named Babylas. One of Antioch’s great martyr-bishops was named Babylas. His relics were evicted by Julian the Apostate, who worried that they were causing radio interference with the demons who fed the local pagan oracles. There couldn’t be a connection. Such cursing is a curious part of late-antique cultures. Some years ago I posted on the Church Fathers and the evil eye. Don’t try this at home. Or anywhere. He is, as I said, a passionate patrologist. A new site is hosting dozens of free Catholic books, including works by the Ambrose, Augustine, and other Fathers. February 5 is the memorial of St. Agatha, patroness of Sicily, the land of my grandparents, and one of the patrons of my parish. Because of the tortures she endured in martyrdom, St. Agatha is also patron for those living with diseases of the breast. My friend Paul Zalonski has a deep devotion to the third-century martyr. He sent me a prayer card with the saint’s image on front and the novena below on back. Pass it around. Think of it as a deeply traditional version of the pink ribbon. Paul heads up the religious education programs at St. Catherine of Siena Church in NYC (411 East 68th Street). There, at noon Mass on Feb. 5, people who live with diseases of the breast will receive a special blessing and have the opportunity to receive the Anointing of the Sick. You’re invited to attend and pray for healing of those who have breast cancer. Bring a friend. O glorious Saint Agatha, through whose intercession in Christ I hope for the restored health of body and soul, hasten to lead me to the true Good, God alone. By your intercession, O blessed Agatha, may I ever enjoy your protection by faithfully witnessing to Christ. You invite all who come to you to enjoy the treasure of of communion with the Holy Trinity. Moreover, if it be for God’s greater glory and the good of my person, please intercede for me with the request of [mention request here]. Saint Agatha, you found favor with God by your chastity and by your courage in suffering death for the gospel. Teach me how to suffer with cheerfulness, uniting myself to Christ crucified with a simplicity and purity of heart. Amen. Saint Agatha, eloquent confessor of Jesus Christ as Savior, pray for me. Saint Agatha, the martyr who says to Jesus, “possess all that I am,” pray for me. Saint Agatha, concerned with the welfare of all God’s children, pray for me. Saint Agatha, pray for me. Agatha’s story is in Butler, of course, and critically dissected and patristically pedigreed in the old Catholic Encyclopedia. Her images abound at Artcyclopedia. 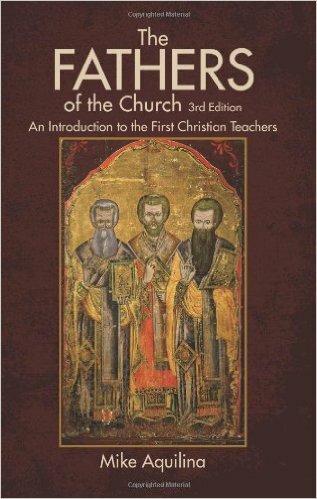 Got a nice note yesterday about my book The Fathers of the Church. I had major abdominal surgery last week and am starting my recovery with Scott Hahn’s St. Matthew commentary and your The Fathers of the Church. And…wow…wow…that is how I need to start! Your book is phenomenal, and I am not even to page 50 yet! So much of my faith and past studies are coming together now! 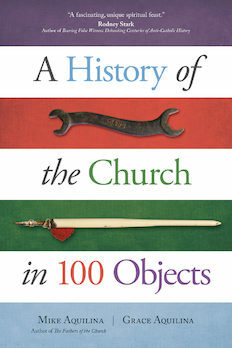 This is such a gift…I cannot thank you enough for all of your hard work in learning and creating this valuable information on our Church … the One, Holy, Catholic and Apostolic Church! Among my favorite Christmas presents was a copy of James Papandrea’s The Wedding of the Lamb: A Historical Approach to the Book of Revelation. It’s my bedtime reading, and I’m loving it. Jim teaches patristics at Garrett (Northwestern) in Chicago, and it shows. 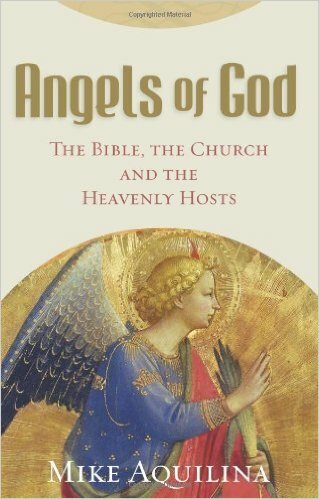 This is the most intensely patristic read of the Apocalypse you’ll find. 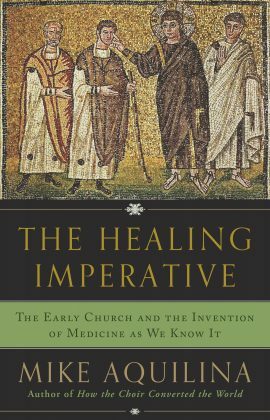 Now comes word that his new book is out: Novatian of Rome and the Culmination of Pre-Nicene Orthodoxy (a Princeton Theological Monograph). It’s already on my wish list. How about yours? Dr. Papandrea and I are the lineup for the third annual “Patristipalooza” — an all-day festival of the Fathers at St. Lambert Parish in Skokie, Illinois. Mark your calendar now: Saturday, October 13, 2012. And watch this blog for more details. I spent a few days in Italy in the first week of December, shooting on-site for a documentary on the life of St. Augustine. It was great fun. By far my favorite part was our day spent in Ostia Antica, where Augustine tended to his mother, St. Monica, during her last illness. Ostia Antica has only recently been excavated, and it’s remarkably intact. In his Confessions, Augustine tells how he felt out of sorts on the day of Monica’s funeral, and so he walked to the baths and then home to take a nap. 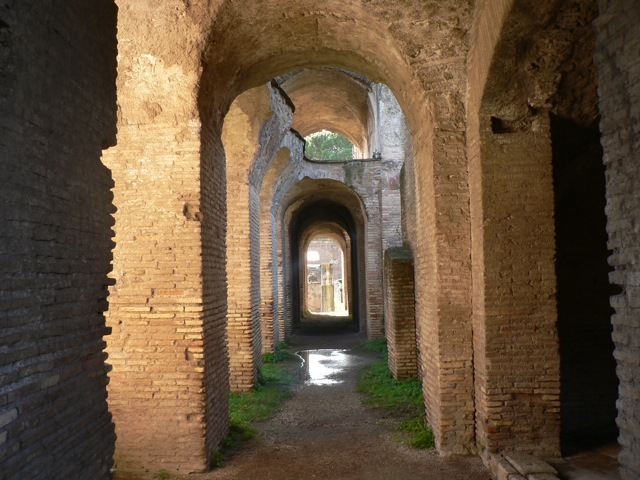 In Ostia Antica you can kind of retrace his steps, moving from the Christian basilica to the baths and then to a residential neighborhood, where the homes appear to match the saint’s description of the place where he and his friends and family stayed. It’s a powerful experience, giving a pilgrim the opportunity to enter imaginatively (and even physically) into one of the great classic scenes of ancient Christian literature. Another plus: it’s far from the madding crowds of Rome. Nobody goes there, I’m told. So it’s pretty quiet, and you have the ancient streets to yourself — and the saints. 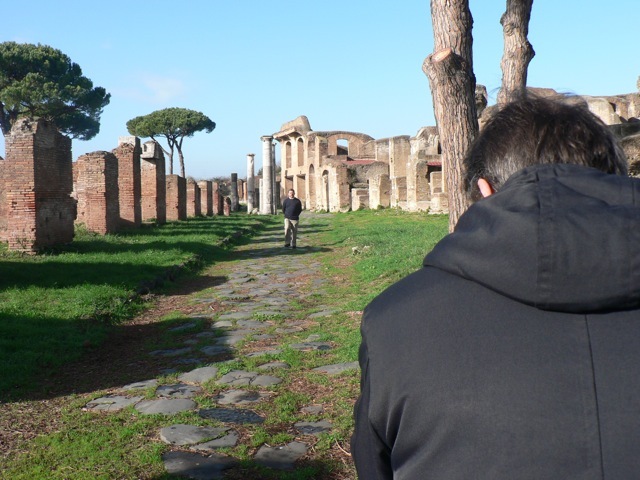 Imagine my delight, on Christmas day, when I saw a feature story on Ostia Antica in the New York Times. (The same paper had run a nice feature when the ruins were first open to the public, a few years back.) Tolle, lege — take up and read! Here are some glam shots taken by my producer-director, Robert Fernandez, while I was on location. Walking the streets Augustine walked. Monica's-eye view of the sidewalks of Ostia. 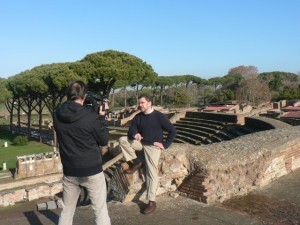 Adrian Murdoch’s also been blogging on Ostia. He shows that the ruins can really accommodate all necessities.